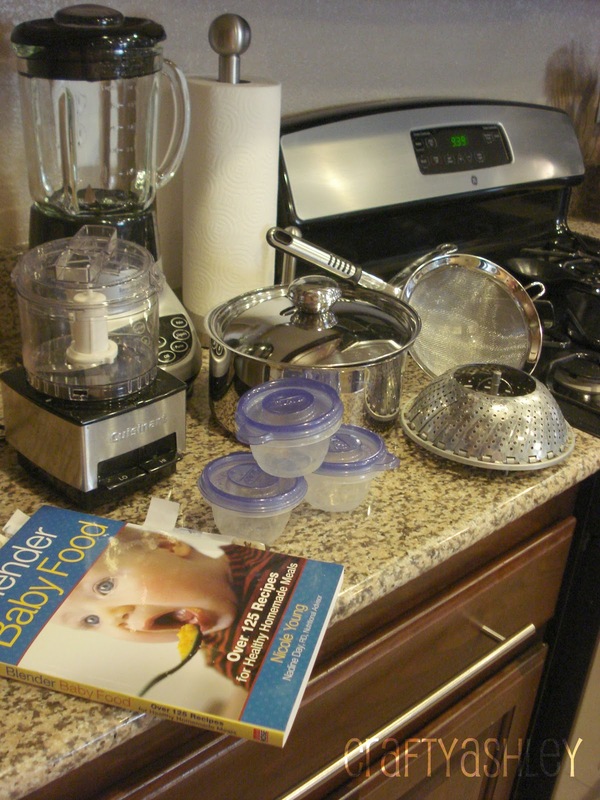 I am going to tackle the broad topic of making your own babyfood. Sit down and grab a bowl of M&M's. It's going to be a fast paced tale of intrigue... and yams. When the girls were born, I was very particular about what I put into their tiny bodies. Nutrition was really important as the twins started off, and remained, very small. I had to make sure their meals were packed with good fat, carbs, and vitamins. I cringe at a molecular level to powdered cheese (a la Kraft) and so I was kind of suspicious about Gerber and their little jars of preservative ridden purees. Also- buying everything by two was getting... expensive. So I saw making my own baby food to be a win/win. I could often be found in the kitchen, peeling fresh peaches (sneaking in a few bites for myself) and keeping my eye on my latest DVR'd show. I spent so many hours in that kitchen making food. It was an intense labor of love. I would fight the urge to go take a nap- what every muscle in my body was aching for. And I would delicately (oftentimes messily) pack little jars of food into my fridge. It made me happy to be doing something that would be so beneficial to these little ones. When they're so little it seems like all I was doing was changing diapers, putting binkies into mouths, and tossing a few toy into the play yard. Making my own baby food was a personal act of sustaining my babies with nutrients. It was oh, so glamourous for the first couple weeks. It became less and less shiny and new as time went on. But I'm doing it all over again for Little Man. After a lot of thinking and digging into those hazy first year with twin memories, I decided I would do it again. Armed with a little more knowledge- and kitchen gadgetry. It was, unfortunately, not until the girls had moved on to actual solid foods that I stumbled upon this fine machine. It is the ultimate all-in-one machine that steams, blends, warms, and defrosts food. Yes. I can see you drooling, there. Get a mop. I would also recommend the Beaba Freezer Tray! Cool styling and functionality. I love that it's made of silicone too. There were problems with my storage system- which I will outline below- and this would solve those. For twins, it would have been pretty pricey. ($20 a pop) But I am still considering this for Little Man. I am a sucker for anything that comes in multiple colors. Those marketing people have my number. There is also a Beaba Cookbook that would probably come in pretty handy. 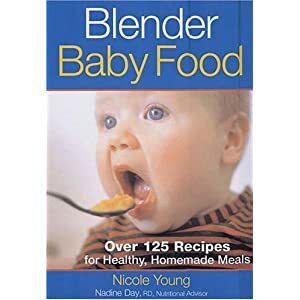 I cannot rave enough about the book, Blender Baby Food by Nicole Young . It was such a great resource for me. Easy to read and had tons of information, including nutrition information. (and pretty pictures. I love me a good picture) I would steam, blend, and freeze vegetables, mixes, and fruits and large portions. The recipes also graduated in complexity as the child grows older. Great. I made all these large portions during the twins' nap. About once or twice a month, then stocked my freezer to the hilt with tiny jars. It was kind of a process, kind of exhausting. But I was happy with the results in general. The basic idea is: steam, blend, (sometimes push seeds/pulp through a sieve) and then store. Before going up to bed at night, select a couple jars for the next day, and move them to defrost in the fridge overnight. Not that complicated. - Buying fresh produce, often in bulk, may be technically cheaper. But when you pay $11.00 for yams, it doesn't feel like you're saving that much money. But sometimes you can do frozen, which is convenient. - There will be plenty of times, at least in my experience, that you will be feeding your little one on the go. Homemade baby food must be either refrigerated or frozen, and therefore, not very portable. We ended up having a large supply of canned baby food in addition to my freezer full of homemade food. - You thought the rejection of a baby spitting out a bit of super cheap rice cereal was bad? Try hours of labor and a new "kiwi puree" recipe that involved purchasing a sieve. Only to see your little one's faces contort in unnatural ways, accompanied with a firm NO MORE KIWI policy. I had spent time and energy making that. Now I had to wash it all down the sink. Not a great feeling. Although being the cheapness that I am, I also didn't enjoy watching a $2 jar of baby food wasted. - A limitless variety comes along with do it yourself baby food. You aren't confined to what the store has. (I would recommend buying the meat ones, though. Nobody wants to watch/smell turkey purees) If you're really into organic and want to shop at Whole Foods, you can go "organic" with your baby food, as well. - Making baby food is kind of a gigantic pain in the rear. Even with the babycook, (I imagine) you'd have to store it (my kitchen cabinets are all full- no room in the inn!) and it does make for extra dishes. You have to want to do it and have a certain level of commitment. Or just try it out and see if its tolerable to you! So there's a lengthy essay on baby food making. Hope it didn't bore you to tears.